In the United States, Mother’s Day is consistently celebrated on the second Sunday in May, and in the United Kingdom, it is celebrated on the fourth Sunday of Lent. In both countries, Mother’s Day is directly related to the religious calendar, in part likely because motherhood is such a celebrated theme in the Bible. Getting Sunday School classes involved in decorating your church for Mother’s Day can be a great way to help your congregation’s children celebrate their mothers, while studying the way God has blessed them, and the way mothers are treated in the Bible. Let children study spring, and how God makes things grow. 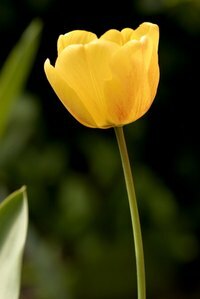 Get a collection of spring flowers or bulbs, such as tulips and daffodils, from a local greenhouse. Leave the flowers in the pots and use them to line the church walks. This will create a flowery path for mothers to walk on when they arrive at church on Mother’s Day. Children can then plant these flowers in flower beds around the church sign, and along the walks, or can give them as gifts after services. If you intend to have children give potted bulbs to their mothers, have the children personalize the gift by decorating the pots with paint or permanent markers. Have children study the mothers in the Bible, how they served God, and why they should be celebrated. For example, you may talk about Thomas’ mother and grandmother, Mary, Elizabeth, and Moses’ mother. Have children choose a biblical mother, and draw a picture symbolizing how she was special. Older children can write a paragraph about why that mother is special, and how she is related to their own mothers. Another variation for younger children is to draw pictures of how their mother serves God, and verbally explain the pictures to their mothers after services. Complete these lessons in advance so that the written work and art can be hung in the sanctuary or foyer for mothers to view before or after services. Talk about how God made everyone and everything special, with her own differences and special talents. Bring paints and have children make hand prints on the front of a blank greeting card. You can use these hand prints to talk about finger printing and how everyone’s hand print is unique, and create a one-of-a-kind Mother’s Day card. These can be hung over a string, and placed on a wall, across the front of a table, on the pulpit, or across the ends of pews as additional decorations.